This cable is a pink UTP (Unshielded Twisted Pair) patch cable with molded boots (snagless installation) and extra protection for the RJ45 connector and clip. The individual conductors are 24AWG (American wire gauge) stranded pure copper. 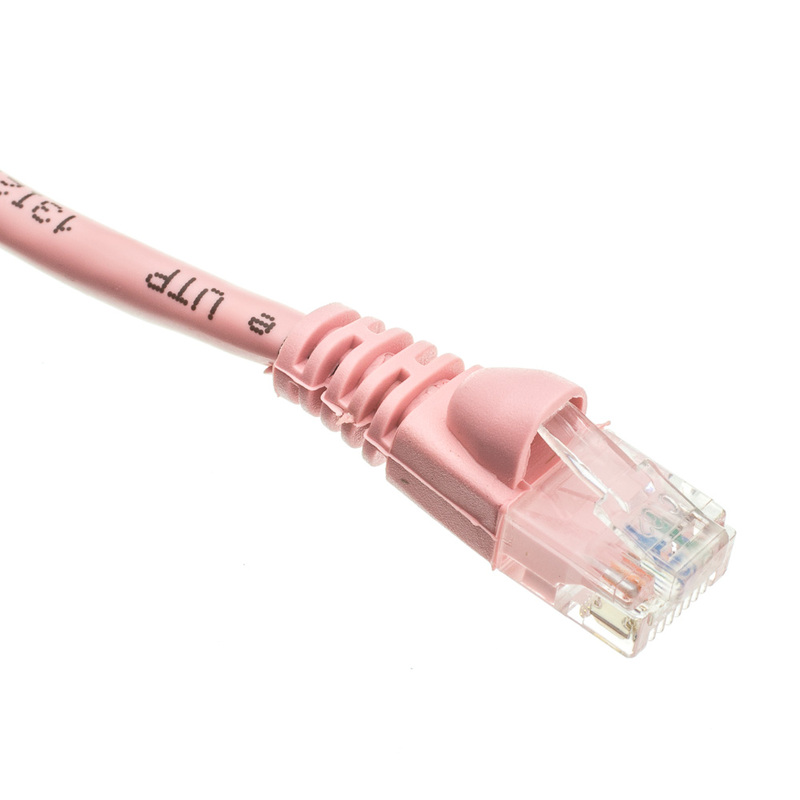 Cat 6 patch cables are stranded to improve flexibility. 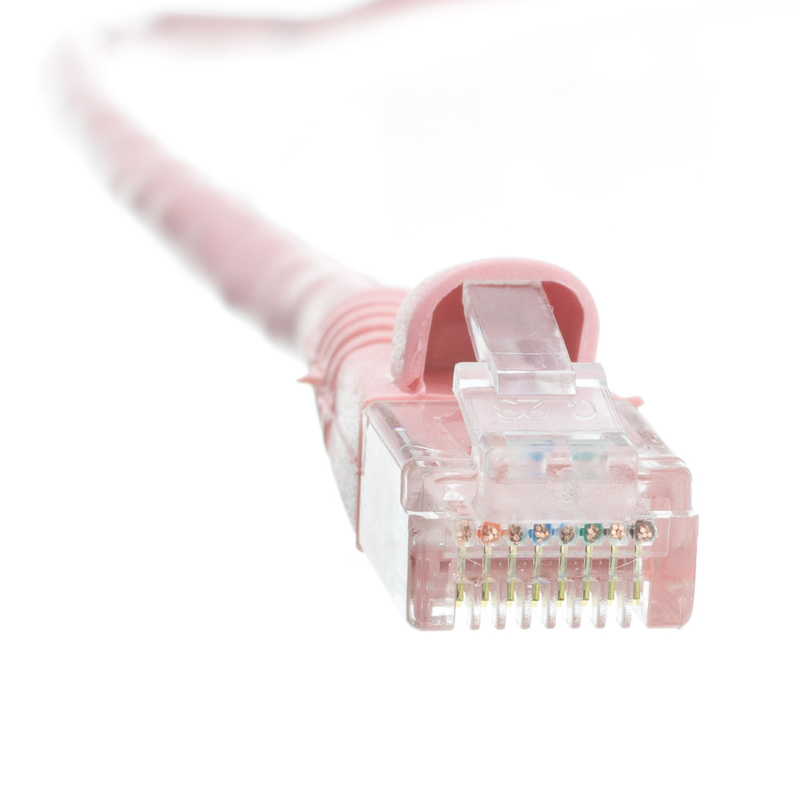 Pure copper conductors provide the best signal possible. 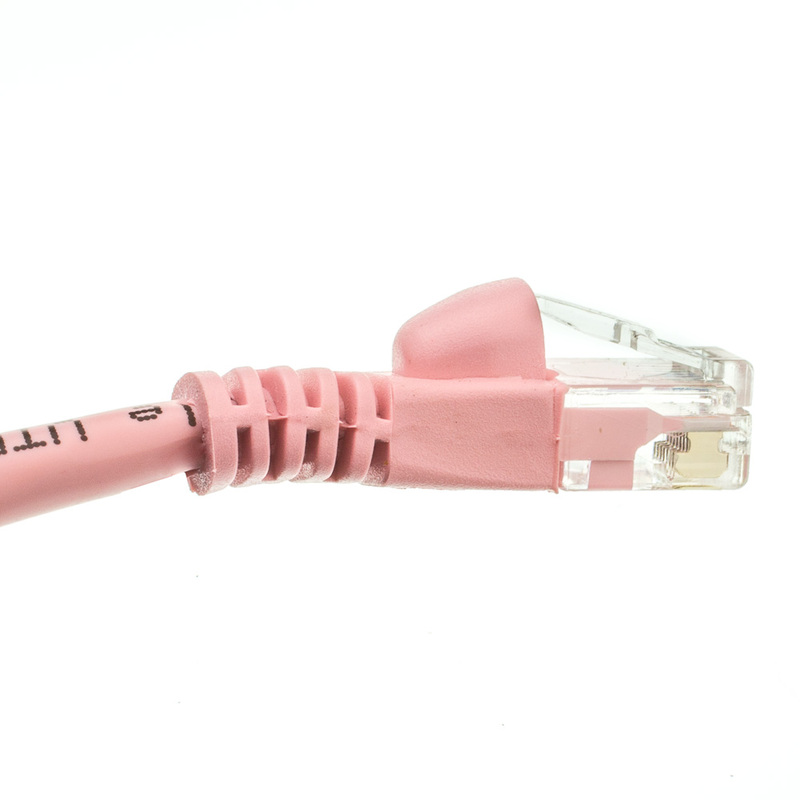 The RJ45 plug features gold connectors to prevent corrosion thus ensuring a longer cable life. 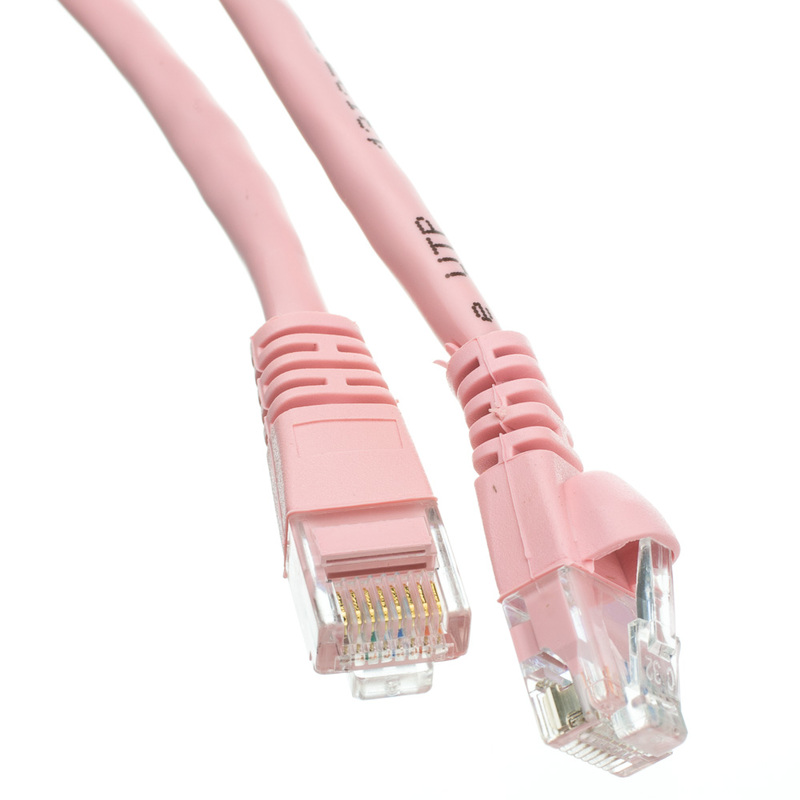 Our Cat 6 Ethernet patch cables exceed the EIA/TIA568B standard.